It's difficult to believe, but the clipper-bowed, carvel built 40 footer pictured here started life as a 28 foot clinker-built whale boat. Just as strange, the whaleboat was commissioned to be built in Tasmania and shipped to Wellington. It's not as if there was a shortage of such craft here at the time - even if there wasn't, one could easily be commissioned. Anyhow, commissioned in Tasmania she was, and delivered to the owners in Wellington, Messrs MacDermott and Tarleton, in 1882 for private use. Named Elaine, she was built of Huon pine, measured 28 feet LOA with a beam of 6 feet, 6 inches. She was rigged as a yawl, and had two centreboards. Her build including sails cost 80 Pounds, plus whatever the shipping rate from Tasmania was at the time. After such effort and expense, the partners found they didn't really enjoy the sport after all, and sold her to the well-known yachtsman and personality John Coutts. 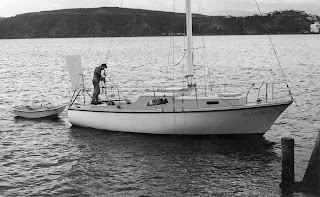 Upon purchasing Elaine, Coutts had her centreboards removed to be replaced by an external lead keel, decked over, a small counter added and converted to a cutter rig. 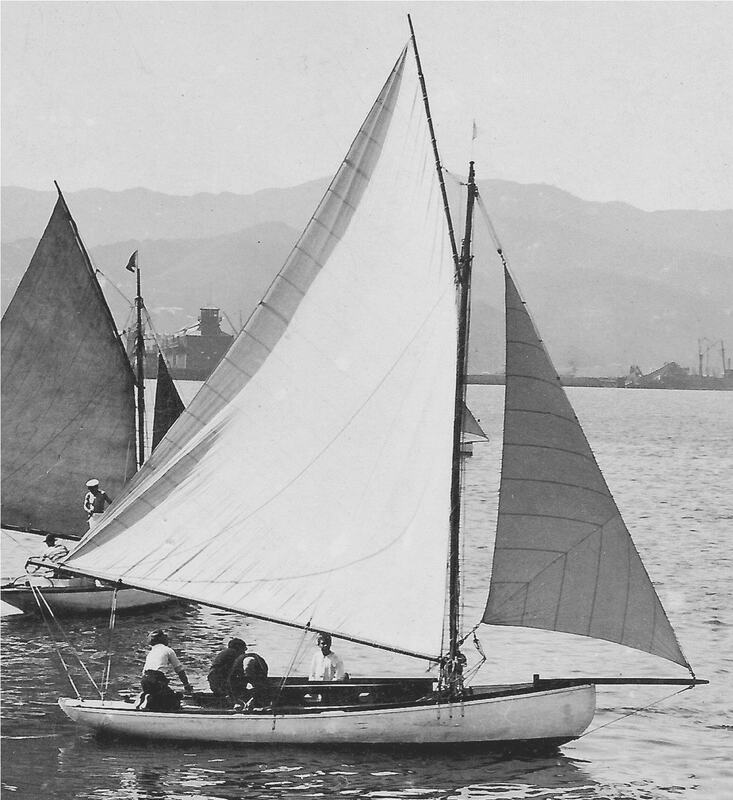 Coutts was a founding member of the Port Nicholson Yacht Club and raced her in the second class fleet of that club. In 1889 he had her remodelled with a cut away forefoot and rerigged her. He relaunched her with the new name Carina. In October 1893 she was up for sale until she broke her moorings at Thorndon and fetched up on the rocks at Kaiwharawhara. She was smashed up considerably below the waterline, was salvaged and floated back to Paul and Robert's yard at Clyde Quay upside down. There was now no question of being able to sell her, so Coutts decided to rebuild her completely remodelled. She remained at the yard for two years. Carina was rebuilt from the waterline down to the keel in carvel. Inspired by the 5 raters, Coutts also had the forefoot further cut away, totally remodelling her forward sections. She was opened up and her beam increased, she was extended 10 feet by a new counter stern and a clipper bow. Several years later he had the topsides, last remnant of the original boat, replaced as they were shaking loose from their stressed fastenings. And there you have it: a 28 foot whaleboat, dual centreboard, clinker built in Huon Pine becomes a 40 foot keel yacht, carvel built in NZ kauri - in three easy steps! In 1902 Carina was put up for sale again by tender. There was a fair bit of competition in selling the larger boats at this time, and no satisfactory tender was forthcoming. Rather than see her go too cheaply, Coutts decided to break her up and sell her piece by piece. 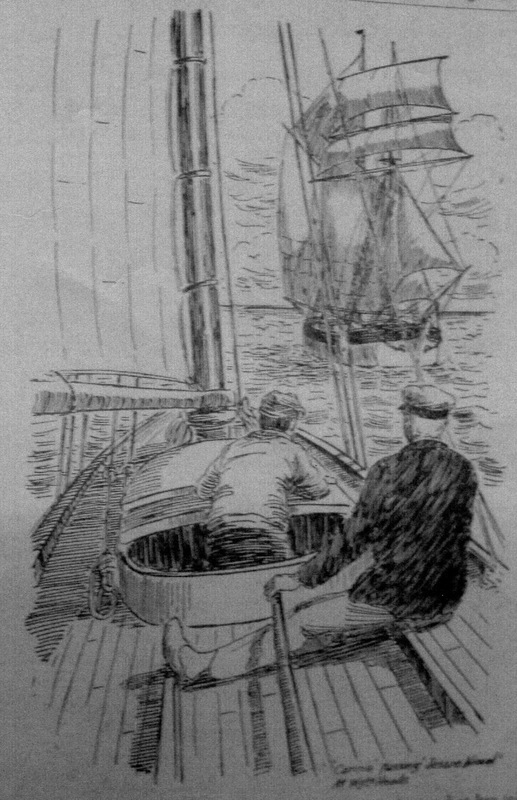 In the end he realised 75 pounds on the boat, which was ten pounds more than he was offered for her intact. 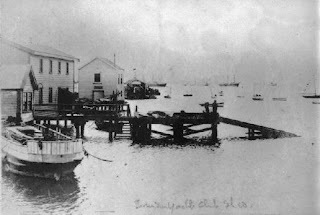 Coutts was a founding member of the Port Nicholson Yacht Club. A Canadian by birth, he left home at 17 to travel, fetching up in New Zealand where he remained. He first worked as a tailor, and later became a public servant. I thought he may be an ancestor of Russell Coutts, but despite "two or three good chances and some narrow escapes", he never married. He retained his accent, and his "Americanisms" were greatly appreciated by those who knew him. He was well-known for his Man of the World's laid back, indulgent style (though not to fools), good humour in "knocking the corners off bunnies", and his somewhat salty vocabulary. Coutts was the first to come to the waterfront to congratulate the the crew of the Taipare upon her safe return from the Marlborough Sounds linked to in the previous post. His best mate and crewman was Carlo Hebbend, who was just as popular in the club rooms. Coutts' most well-known quote was "Jam 'er to wind'ard, Carrr-lo", which became a bit of a catch-phrase around the fleet whenever a similar command was needed. Below is an article from the Evening Post (18 November, 1895) describing the two-year period when Carina received her most significant alterations. Wellington has a long history of do it yourself design, experimentation and adaption in yachts. 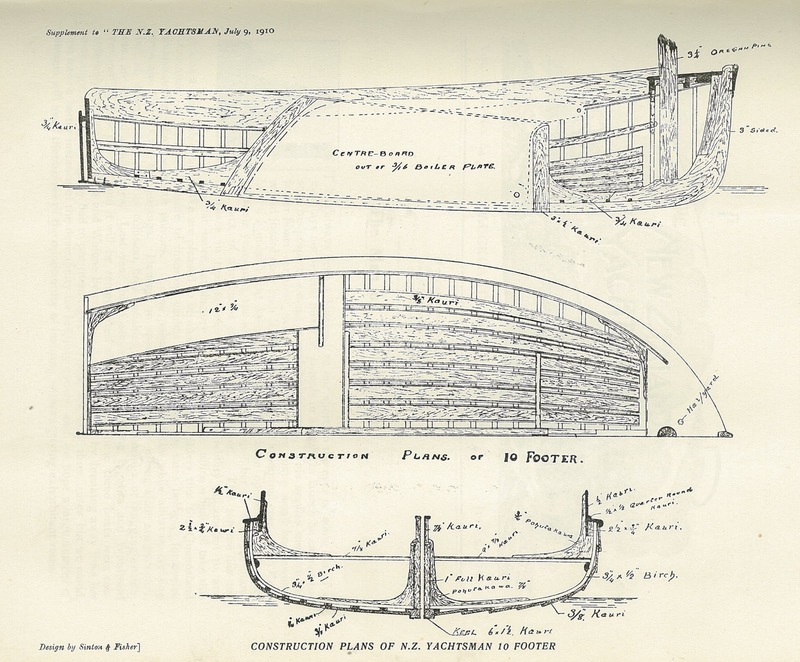 Though there were plenty of skilful boatbuilders in the early days, commercial work kept them busy, and there was not enough local business to concentrate on racing vessels over an extended period. With a few notable exceptions, local boatbuilders' involvement with racing yachts was in the realms of repair and adapting existing boats for clients. To own a yacht with the latest in go-fast technology, you either had to buy one from Auckland, or design and build it yourself. Taipare was a successful early example of the latter. 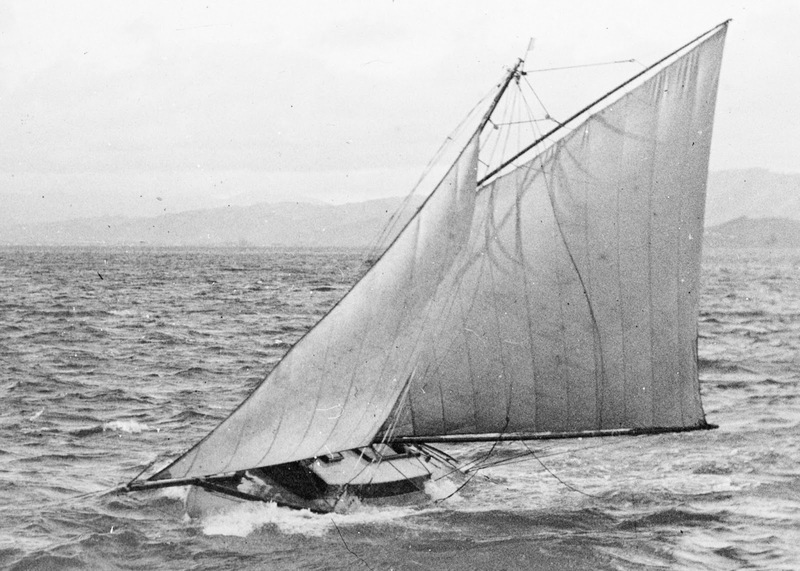 Launched in October 1897, Taipare has the distinction of being the first spoon-bowed yacht built in Wellington. 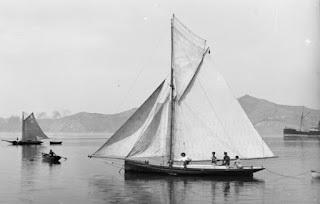 She was designed in 1896 by Jack Moffat, who had also designed, built and raced the 18-footer Irex (1893); which raced with the Arawa Sailing Club. He had owned various other small racers, including the half rater Arawa. Taipare was his own design, based on the latest ideas as published in the English journal "The Yachtsman". She was designed for Bob Stead, a previous owner of the Red Jacket, and later some small third class not very good yachts. Moffat challenged Stead that he should have a proper yacht for a change, and that he was just the man to design her. This was the mid 1890s, and the fleet in Wellington was a strong one, which boasted three class fleets of keel yachts, 14 and 18 foot centreboarders, and half raters. Taipare was designed to be a third class racer. Taipare was built in Walter St by the brothers Robert (Bob), Thomas and Richard Stead over one year during their spare time. She was built of kauri, of 1" carvel planking over a 1/4" diagonal skin. Her interior panels sported oil paintings of coastal scenes painted by students at the local art college - altogether a smart little racer of a nudge over 25 feet in length. 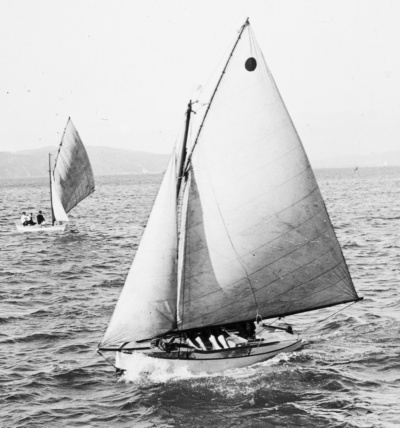 Taipare first raced in the two races for third class yachts in the 1898 Wellington anniversary regatta. 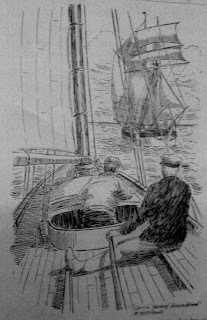 She was helmed by Jack Highet, of whom it was said that if he had a hand in the tiller, whatever the boat, that boat would find itself "placed in the finish, and usually first". 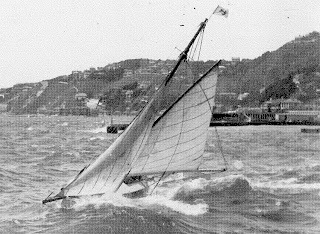 Jack had designed and raced successful centreboarders and continued to do so with the Arawa Sailing Club, only to be eclipsed by his talented younger sibling, Harry, who would go on to dominate the boats of the seemingly invincible Ted Bailey in the Te Aro Sailing Club in the years running up to WWI, and would later design the famous P-class. Taipare and her crew of three won both races, in winds that increased to gale force as the day progressed. Taipare made a cruise to the Marlborough Sounds in 1898. She only just survived the return journey. A short account can be read here. 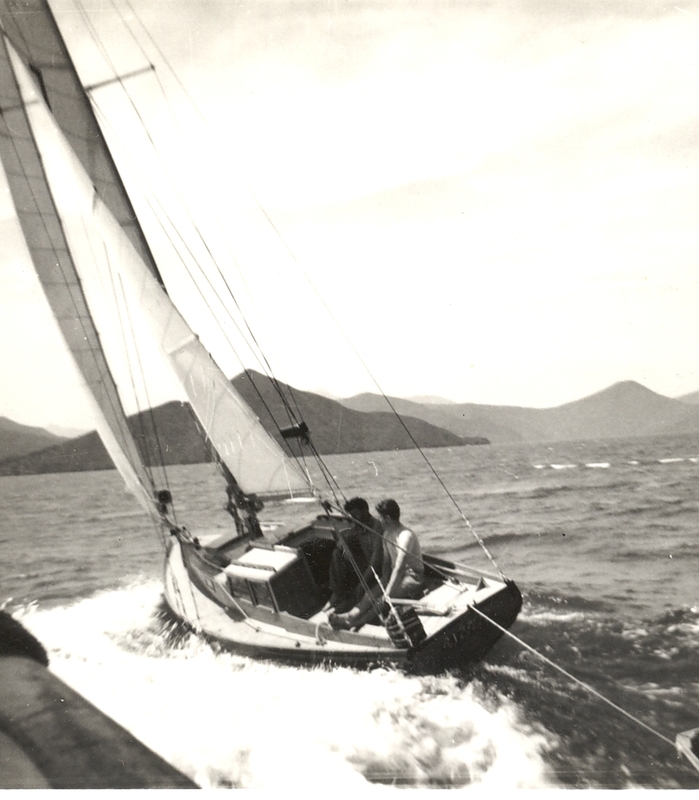 The Stead Brothers from then on stuck to racing with Arawa Sailing Club. In 1900 they decided to experiment with her a little. 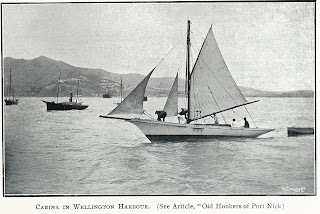 There was talk in 1899 of Wellington entering one or two boats for a national championship for One-raters in Auckland. Bob removed Taipare's deadwood and keel, and converted her to a bronze fin and lead bulb configuration, in an effort to make a fast one-rater of her. The experiment was a failure. Thomas and Richard moved overseas the same year and Taipare was sold for 20 pounds. Taipare passed through several hands until 1903 when she was purchased by a syndicate led by William Highet. He converted her back to a proper yacht with deadwood and external lead ballast. The first race Taipare entered with her new owners was a sweepstake race of thirteen yachts organised by Oscar Freyberg, which she won. The keel yacht fleet by this time had diminished rather quickly as sheltered moorings at Thorndon and Te Aro were lost to land reclamation from around 1900. Boats were continually slipping their anchors and fetching up among the rocks around the Northern coast of the harbour, and the survivors were quickly being sold off. It was not until Clyde Quay was opened in about 1906/07 that the fleet once again slowly began to build. It was due to this that the PNYC ran only two racing fleets, both of which were somewhat a mish-mash, and Taipare found herself racing against bigger and fleeter yachts. Nevertheless, under the Highet guidance, she dominated the second class until the little 22-footer Lizzie, built by Ted Bailey for C. J. Ward was launched in 1909. Bill Highet sold his share the same year, but despite Lizzie's dominance over the next few years, Taipare could still on occasion steal her thunder. When Lizzie was sold to Charlie Neal in 1912, he slightly altered her mast position. Although she was a little easier to handle, she lost her racing edge. Taipare once again became the scratch boat for the division until WWI. After the war, Taipare got little use in club activity, and she is hard to track until the mid 1930s, when there was a resurgence in interest in the sport, and more people began purchasing and racing small yachts. She was active in racing, but was never tuned up to her potential. Taipare's fate is unknown. She was sold to new owners in the far North of New Zealand shortly after WWII. I wonder if she survives? Ilex leaving Wellington for Sydney1946. Roydon Thomas was a draughtsman and boat designer based in Evans Bay and Mirimar. He was also well-known personality in the Wellington boating world in the 1950s and 60s. He came from a line of sailors; his father owned the well-known trading schooner Huia. 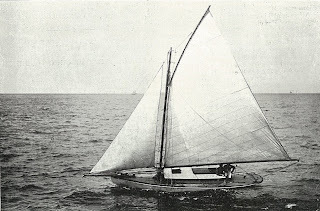 As a teenager he and three friends built the Athol Burns-designed (modified by Thomas) Almero. She was launched in 1952 and was a sister to the Christina, built after school and also launched in 1952. 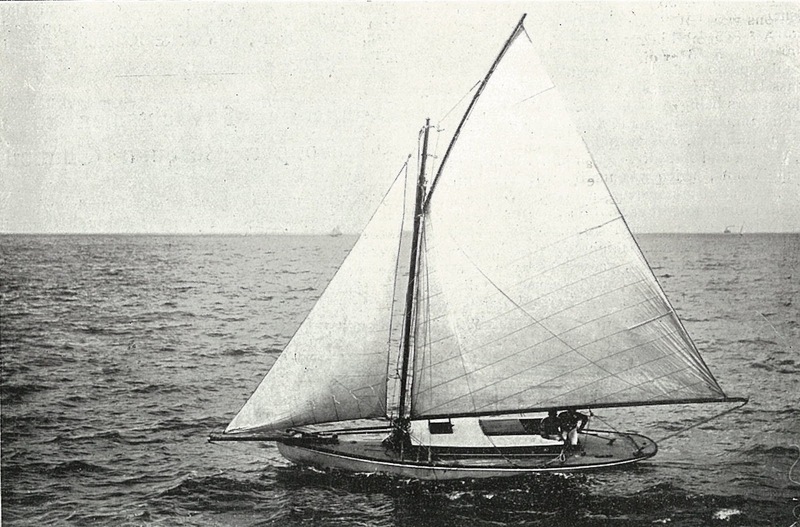 Christina sailed to Australia in 1956; at the time, the smallest boat to have done so. Thomas trained as a draughtsman with the Wellington Harbour Board. 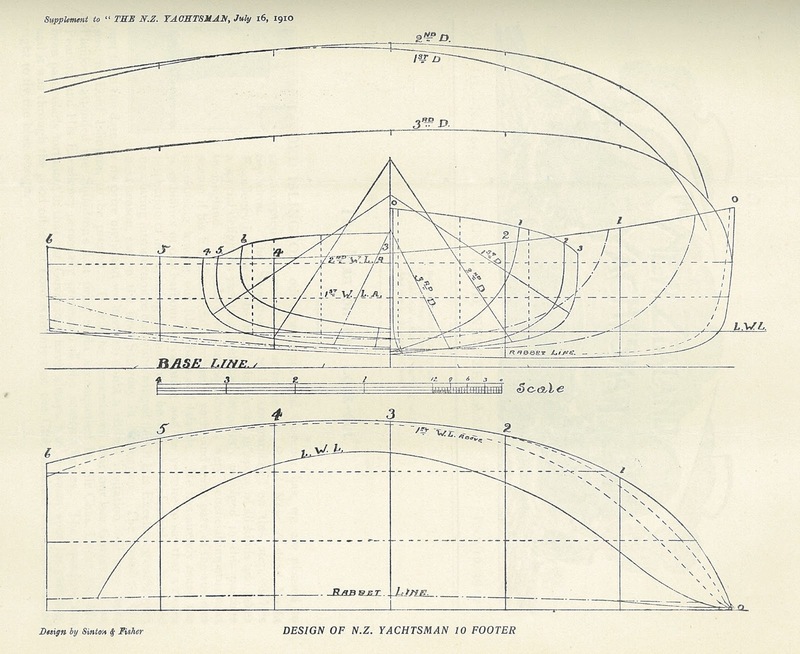 His first design for a yacht was drawn up in 1954 - a 23 foot keel boat design. The design was favourably reviewed in Seaspray magazine, which predicted a good future for him. Two were built - Shemara built by Frank Ballinger at his home on Grafton Road was, and is, a tank. Her deadwood is Jarrah, with inch-thick kauri carvel on birch ribs as 6 inch centres. Her transom is two inches thick. She has a lofty sail plan and you need at least 15 knots to get her going. Unless of course there is zero to two knots of wind, which will be just enough to get her moving, and the momentum of her weight keeps her moving. Shemara was launched in 1958 and raced with the Royal Port Nicholson Yacht Club, and cruised extensively in the Marlborough Sounds. I purchased her from Frank in 2007. Thomas built for himself a sister to Shemara, the Gazelle, launched later the same year. Gazelle, though built to the same lines, was planked in cedar and carried no motor. She was very much the lighter boat, and in general airs up to 15 knots could sail rings around Shemara. She was painted red, and remained brightly coloured in red or blue through her life. She was renamed Reefer around ten years ago. 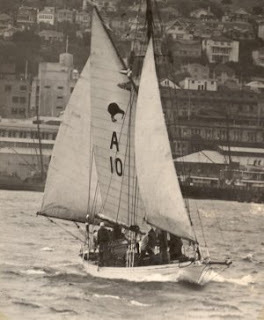 Gazelle was the winner of the longest Island Bay race on record at the Royal Port Nicholson Yacht Club. At a late stage of the race, all wind died out, leaving the fleet bobbing around. After some hours, as dinner time came near, each of the boats withdrew, either starting their engines or accepting a tow back to their respective berths; except the Gazelle, which had rum on board. Said rum was drunk, as the crew waited for a breeze which came in the next day. The race committee had to make the trip back to the clubhouse to get her finish time. After that, a new rule for abandoning races was created. Gazelle and Shemara were neighbours in the Clyde Quay marina. Shemara is still there, one of the longest-term permanent tenants. Gazelle was sold to another Australian owner, who shipped her home about 2002. 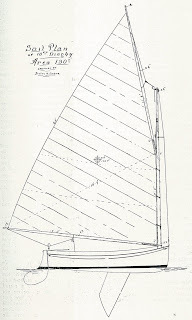 Thomas' next keelboat design at 28 LOA was a beefed up version of the 23 footer. Again, two were built, the Charmaine and Ondine. Both of these boats have had their adventures. The Charmaine was racing from Wellington to Akaroa one year in a strong Northerly with the spinnaker up. The Northerly built, as did the seas, and it was time to bring the kite in and think about shortening sail. However, no-one had the courage to go forward, so the kite stayed up, and all expected the sail to break apart. It didn't, neither did the rig, and Charmaine ended up with a race record for her class. The Ondine was built by John MacDermott and Phil Hartley at Hartley's home at Balaena Bay. 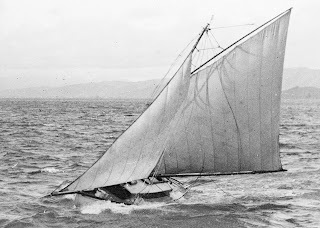 Ondine was raced regularly, and later sold to make way for Hartley's next build, the Spencer-designed half-tonner Odette. Under new owners, Ondine got caught in a tidal rip and a lee shore on Wellington's Southern Coast and couldn't claw out. It was decided to run her aground in a more-or-less controlled situation. Ondine was run on to a beach in storm conditions, and all hands were saved. Ondine was dragged up the beach by a tractor and taken back to town. It is a testament to the quality of the build that after the ordeal, the only real damage was two sprung planks. Malaguena preparing for her Pacific cruise 1968. Thomas continued to design on spec and to commission through the 1960s, mostly work boats from dinghy size through to 47 foot trawlers. He also worked in commercial fishing. In 1967 he designed the 26 foot yacht Malaguena for his brother David, who sailed her over several years around the Pacific. In 1969 he designed and built the Westwind, a 28 foot Chatham dory type for his own use. La Panache, which is currently moored alternately in Clyde Quay and Picton, is a design of Thomas' although Phil Hartley told me she had been considerably altered during her build. Stories of Roydon Thomas' life are legion. He had a reputation of a hopeless drunk. The "hopeless" aspect though is arguable, as his work maintained a high standard. He was however, a larrikin of the highest order. He is remembered by Phil Hartley's sons as always red-faced and genial. One story in particular can give an idea of the kind of escapade he got himself mixed up in. 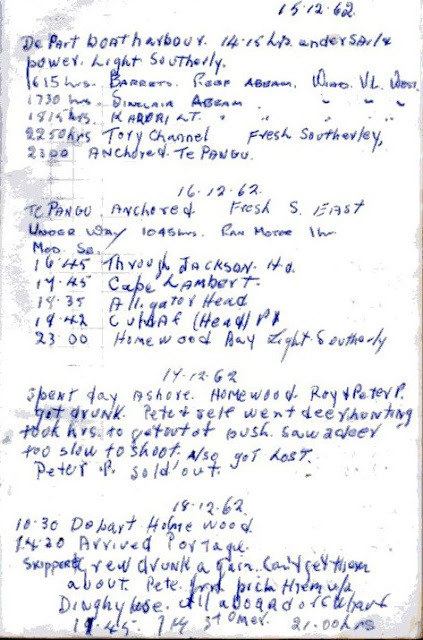 In 1966 he and several mates accidentally blew up a trawler in Evans Bay. The identity of the culprits was an open secret in the boating world, and his sister-in-law finally spilled the beans to a wider audience in 2007. Read about it here. Roydon Thomas died by drowning in the Wellington harbour in 1971, aged 39. Special thanks to David Thomas for sharing some photographs and information. A book on Roydon Thomas' designs is in preparation. Below: Excerpt from Shemara's log December 1962. Crew were Frank Ballinger, Roydon Thomas, Peter Prendeville, Peter Ballinger, P. Breed. The Thorndon Dinghy Sailing Club (TDSC) was organised in 1903. 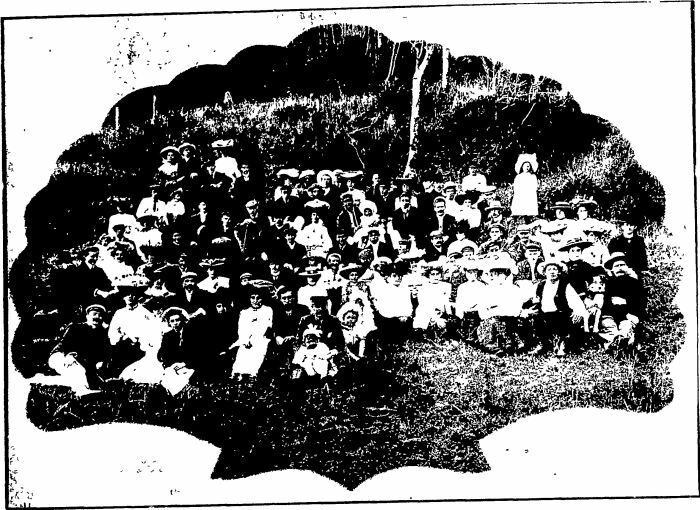 Both it and the Te Aro Sailing Club (formed 1907 - more on this club in a later post) grew out of the demise of the Arawa Sailing Club, which started to fizzle out in 1901/02. There were several causes identified for the demise of the Arawa Sailing Club: it had tried to spread itself too thinly across classes for 14 and 18 footers, half raters and keelers; it had not rewarded regular entries, and youngsters became disenchanted by being priced out. Younger potential members didn't bother to join the club and mucked around on their own account with yacht tenders with a spar and often not much more than a bedsheet for a sail. It was felt at the time that youth should be organised for their own safety and to learn to sail properly for the good of the sport (keel yacht racing in Wellington at that time being in a slump). 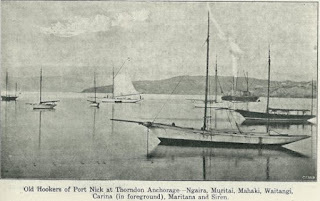 It was senior members of the Thorndon Yacht Club and Port Nicholson Yacht Club (PNYC) who appear to have been the main drive behind the formation of the club. These men were owners of crack racing yachts: Mills a founding member of the PNYC, commodore (1903-1905), and owner of Rainbow (and later Iorangi); Turnbull a recent commodore (1899-1901) and owner of the Iorangi; J. S. Swan, soon to be Commodore (1906-1907). 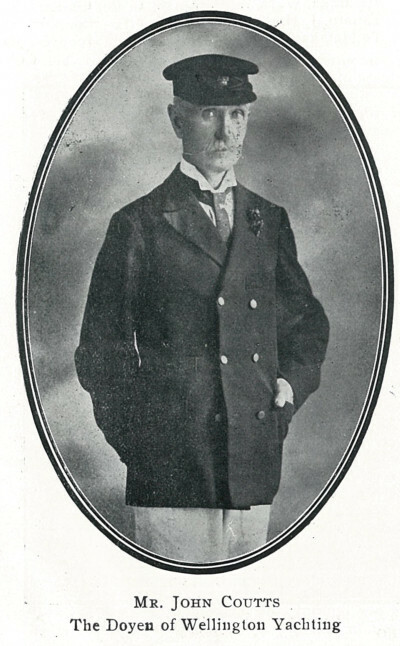 McLean was owner of Waitangi, and Renner who within a few years would buy a share of Waitangi, was owner of the 2 1/2 rater Muritai (Rogue), Georgeson and Bucholz were also yacht owners and regular office holders of the PNYC. TDSC therefore started out well organised. There was a series of three scratch races in the calendar, to be raced on Saturdays (at that time still part of the working week for most people), based purely on who could go the fastest, and a handicap series to be raced during the summer months on a Wednesday evening. Handicap racing used the Mark Foy system, so competitors sailing a dinghy of any quality could compete, and know exactly how they had done as they finished. Each of the races was for a particular trophy, so there was plenty of opportunity for a variety of winners. In addition, each boat received aggregate points for a placing, which added up to a winning trophy at the end of the season. This was to encourage entries each week to stay in the running. Wonder of wonders, the TDSC also had a clubhouse. The Thorndon Yacht Club (more a social club and place to store gear for yachtsmen than an active sailing club) was the only boating club in Wellington at the time with its own dedicated premises - a shed on Waterloo Quay. It was made available as a clubhouse for the TDSC. 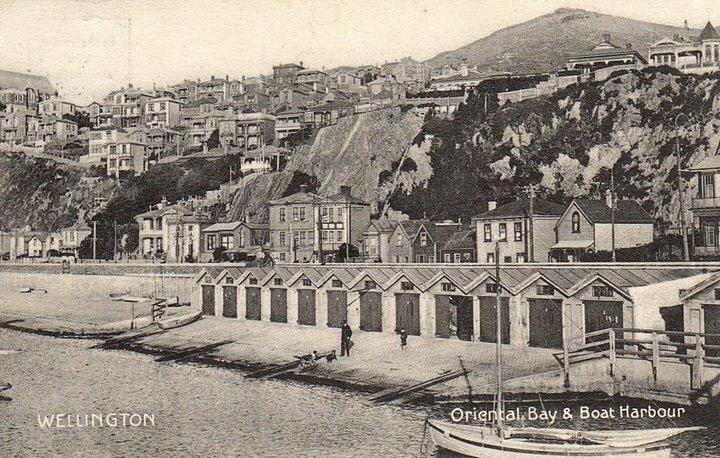 The site was abandoned in 1906/07 when reclamation landlocked it and the shed was removed to Thorndon Esplanade. 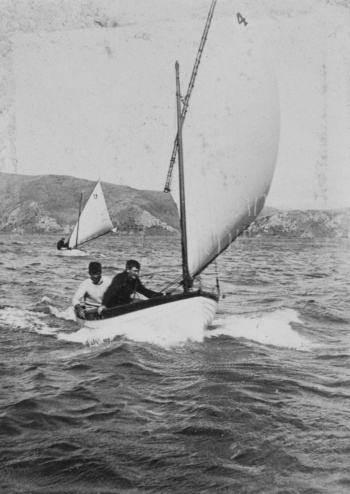 The 1903/04 TDSC season opened on 11 November 1903 with a win for Waitangi, sailed by Baggett. She was likely namesake and tender for the yacht, as she was owned by McLean. In all, 12 races were got away that summer, with a fleet of about 12 boats. They were a real mish-mash, with some flighty names like Tilikum, Gee Whiz, and Moki (owned by fisherman Frank McKeever). Within two years most of them had been dropped from the lists. 1904/05 was the first full season, with 36 members and twelve boats. Healthy racing was had and of course, people's sporting blood got up, with the result that purpose-built racers were commissioned. The first of these was the Oeo built to order by Logan Bros. in Auckland for Stirling and Jones. She first began racing towards the end of the season in 1905, and carried all before her. It was now all on. 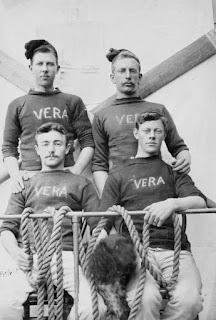 The 1905/06 season saw the membership double, and new boats, most notably Rona, Irex and Vera joined the lists and Oeo had some competition on her hands. She still generally came out on top. However, Edwin (Ted) Bailey was brought on to race the under-performing Vera late in the season. She started winning consistently, managing to pull off a third placing on season aggregate. The next few years belonged to Ted Bailey. For the 1906/07 season, he built the Zel for L. Palmer. Bailey helmed her for the three-race Saturday series, and won them all. The Vera, now he had shown how she could be sailed, won the season aggregate trophy. These two boats, along with the Irex, shared the top three spots for both series. Logan's Oeo, though placing reasonably well at times, was already out the back door. The 1906/07 season saw the membership increase to over 100 members. The annual social had over 200 attendees, entertained (as for the previous year and several to follow) by Miss Hawthorne's String band. It became a tradition to display the winning dinghy of the championship series full-rigged on the stage. A sculling race was organised by the officers of the club for the Port and Starboard watches of the training ship Amokura. The future looked bright. In 1907/08 arrived Ted Bailey's Thelma. He sailed her himself, and as scratch boat won the aggregate series. Oeo had obviously had a kick up the backside the previous season, and came away the victor in the championship series. However only Oeo, Zel and Thelma had entered. Oeo was advertised for sale at the end of the season, in August 1908. Ted Bailey had a particular talent for fast racing dinghies. 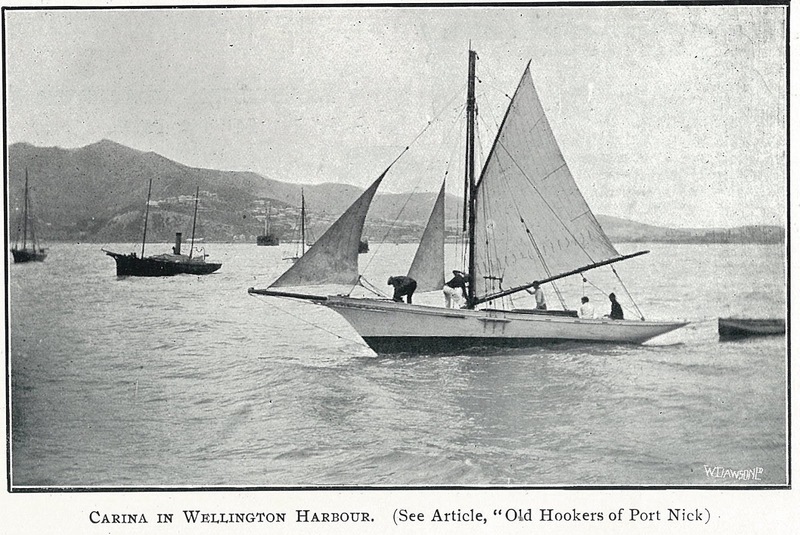 His Zel and Thelma, as well as his handling of Vera made him the go-to man in Wellington small boat racing. 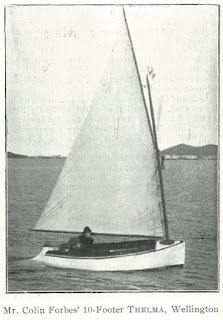 He also built several small racing keel yachts, including Lizzie in 1909 (as scratch boat, 11 firsts, 7 seconds, and 2 thirds in her first 21 races with PNYC). 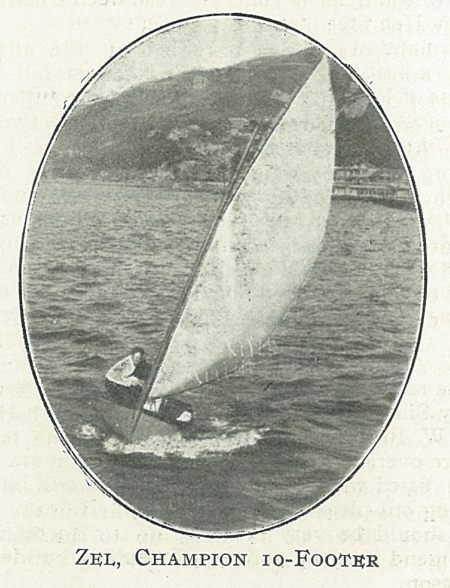 Bailey continued to build champions, including the 14 footer Nan in 1910 - scratch boat for the Te Aro Sailing Club until the war. He continued this form into the 1930s with the X class Lavina, which became national champion in 1937. Despite the dominance of Vera, Zel and Thelma, racing was still good. Wednesday evening Mark Foy racing was still hotly competed, and that each race win resulted in your name on a trophy almost guaranteed a result for most competitors over the season. The club donated a trophy for the Amokura's Port vs Starboard watch race, and closer relationships were forged between the various clubs. This year the first sheds at Clyde Quay were made available - the Thorndon Dinghy Sailing Club leased number 44 and sought to dispose of the the shed at Thorndon Esplanade to free up debentures. Bailey's Thelma won both the aggregate and championship trophies during the 1908/09 season, Blowfly and Zel sharing first and second for both series. Oeo won the other Blue riband event - the Oates Challenge Cup. For two years these boats had been untouchable, and the club imploded. At the AGM in 1909 it was decided to plan only half a year ahead. Only four boats registered for racing: Rona, Zel, Blowfly and Vera. 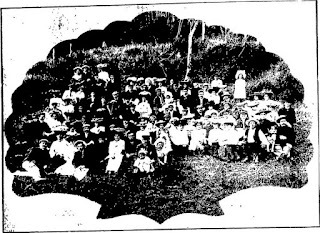 It may be considered that the failure of the club was due in the main to the same reason the Arawa Sailing Club fell apart - wealthy men commissioning swift boats which destroyed competition for the people the club was designed to attract - young people wanting to have a go. This was undoubtedly a major factor. However, Like the Arawa Sailing Club before it, most of the youngsters were swept up as crew for the keel yachts, which had seen a renaissance once Clyde Quay was built, and there was once again a safe place to moor large private vessels (reclamation of the late 1890s and early 1900s had destroyed previous sheltered mooring sites at Thorndon and Te Aro). Some of them, like the Scott Brothers (Wairere) and the younger Moore brothers (Mahina, renamed Romp) purchased their own yachts. Others, like Frank McKeever, left to live the domestic life. McKeever got married and moved to Paremata, where he became active in the Paremata Boating Club during the 1920s racing his 20 foot launch Moki (which now sits in my garage awaiting reframing). 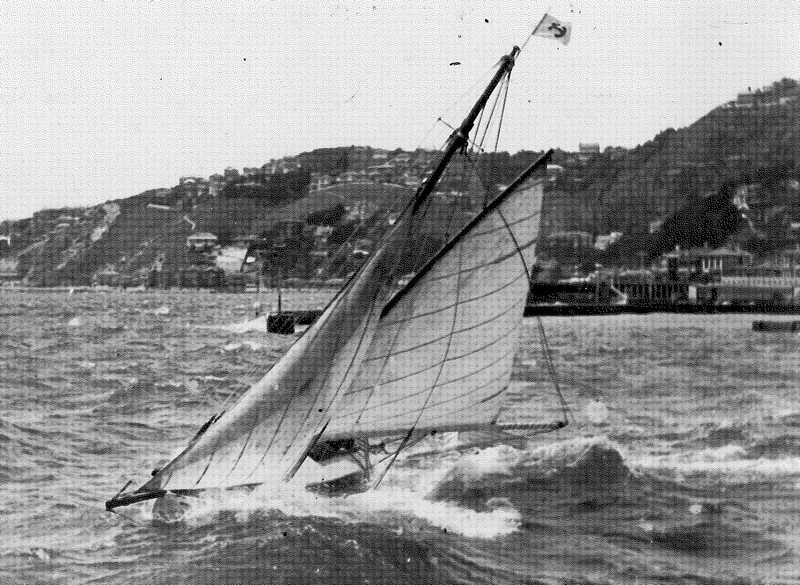 Ted Bailey had obviously dominated the class and decided to move on to beating the fourteen footers of the Te Aro Sailing Club. To this end he built Nan in 1909 or 1910. It may be argued that the Thorndon Dinghy Club was actually a great success, in that it did indeed, create new, skilled and confidant yachtsmen - they just moved on and sailed yachts. The club's failure lay in not attracting new members. One of the final and most significant actions of the Thorndon Dinghy Sailing Club was to use leftover funds to commission a trophy named the Thorndon Dinghy Club Challenge Cup, to be competed for by other centreboard racing clubs of the region. This trophy was hotly contested for decades. 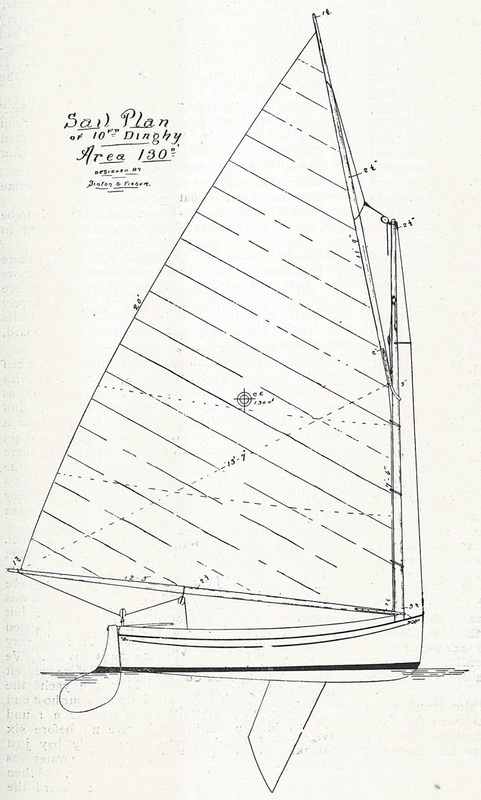 The NZ Yachtsman magazine, inspired by the Thorndon Dinghy Sailing Club and another club for 10 footers in Auckland, the only two fleets for ten footers in the country, in June and July 1910 published lines, sail plan, and structural drawings of a ten footer to encourage a one-design element to the class. It was too little too late however, as both clubs were winding up. It's interesting to note that at first blush, the design looks very like Ted Bailey's Thelma - high wooded, beamy and bluff but with a fine entry at the waterline. 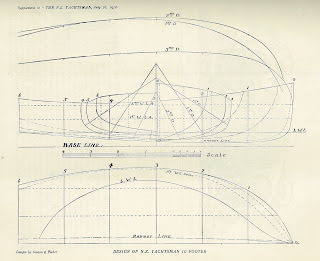 The only record of any boat being built to this design was in Evans Bay in 1913 by a man named Forbes, who also at the time owned Bailey's Thelma. 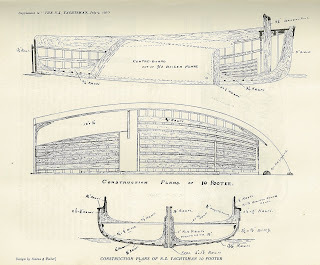 Forbes departed from the construction plan, using an internal diagonal skin rather than ribs (was Thelma built thus?). Another unnamed person in Evans Bay took on the Blowfly (by no means a shabby boat). Interrupted by the war, plans to resurrect the class came to nothing, but these were among the first murmurings of the creation of the Evans Bay Yacht and Motor Boat Club, created in 1919, well known for the quality of its centreboard racing into the 1960s.